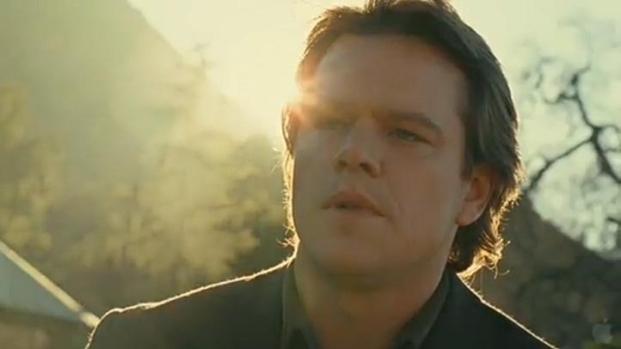 Gus Van Sant's streak as the only man to direct a Matt Damon-scripted film will remain intact. Matt Damon and John Krasinski, who collaborated on a rewrite of a script originally penned by David Eggers, formerly titled "Gold Mist," are slated star in the film as rival executives. When Damon's character moves to a small town, his life gets thrown into chaos by the level of scrutiny brought to bear against. The film was to be Damon's directorial debut, but he recently decided that his schedule didn't have enough room in it to do all the requisite preparation. So he turned to Van Sant, who direct Damon's two previous scripts, the Oscar-winning "Good Will Hunting," and "Gerry," reported Deadline. This small $15 million project is a classic case of relationships making things happen. Krasinski originally conceived of the idea, and paid Eggers, with whom he worked on "Away We Go," to write a first draft. Krasinski then shared it with Damon, who was filing "The Adjustment Bureau" with Krasinski's wife, Emily Blunt. Matt Damon stars in this new film from Cameron Crowe as a widower raising a family who quits his job and buys a zoo. Co-starring Scarlett Johansson, Elle Fanning and Thomas Haden Church, "We Bought a Zoo" opens Dec. 23. We sure hope this doesn't keep Gus from making his Taylor Lautner film.